Georgia: Is Moscow Building Another Berlin Wall? 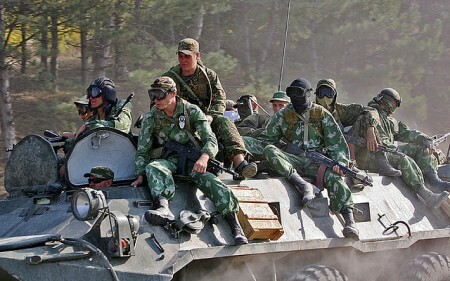 Russian soldiers pullout of Gori city 18 Aug 2008. Image by Bohan Shen/Flickr. Whenever Ilya Beruashvili hears his dog bark, he knows the Russians are at the gate. For the past five years, Beruashvili, 53, who lives on the outskirts of the Georgian village of Ditsi, has watched from his windows as Russian soldiers stationed in the neighboring separatist territory of South Ossetia have patrolled the fields he used to farm. They are coming ever closer. A few months ago, soldiers started building a fence just a stone’s throw from his shed, a structure that will leave Beruashvili’s house and fields outside of Georgian jurisdiction and inside Russian-guarded, breakaway South Ossetia. In what should be a record for the quickest turnaround from real life to “reel” life, the events of the 2008 South Ossetia War may be on their way to a screen near you. According to Reuters, Finnish director Renny Harlin is currently shooting the as-of-yet untitled project in Georgia. 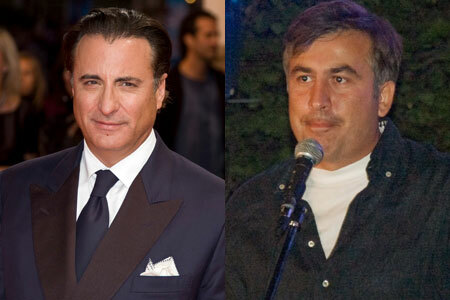 Andy Garcia will play Tie-Taster-in-Chief Mikhail Saakashvili. 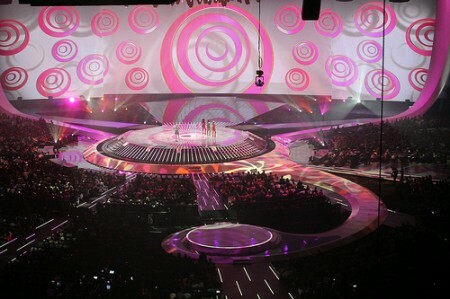 Who’s backing the project? The article says Papuna Davitaia, “a parliament deputy from Saakashvili’s ruling United National Movement” is a producer (meaning, he’s one of the money men). IMDB says “Mizra Davitaia.” I’m going to assume Papuna and Mizra are one in the same. Now remember, the EU found that both sides bore equal responsibility (or at least shifting), for the conflict. But with Georgia money shoring up the production, should we guess who’ll wear the white hat? But there are more important questions to ask, like who will play Putin. I vote for Bruce Willis. Tom Cruise. They’re about the same height. Want to know more about South Ossetia without the lights, cameras and action? Here you go.